As a developer who writes codes every single day might think about sharing your source code with images on social media. However, it's hard to find the perfect solution to share your code with beautiful design on social media right? Here, I would like to share with you a few tools that I used to create a beautiful image to share on my social media. 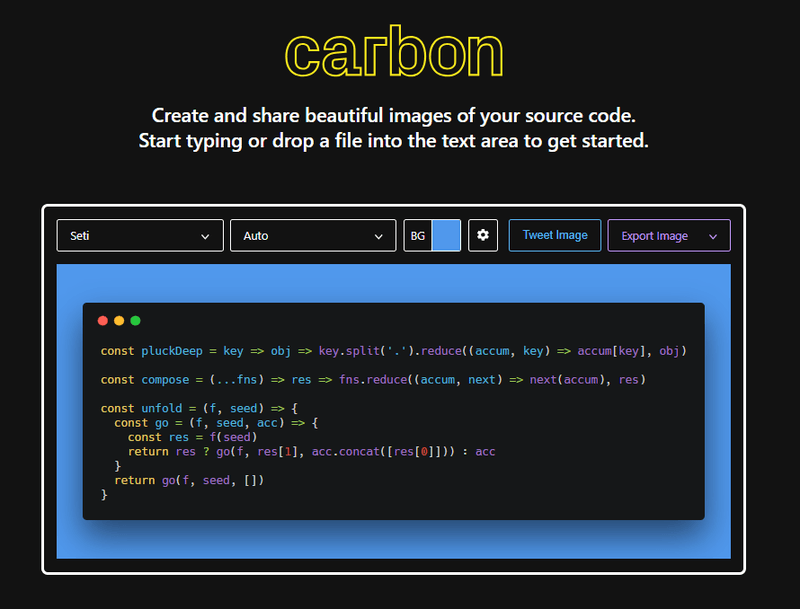 By using these tools, you will be able to can create your own beautiful image for your source code to share on social media like Facebook, Instagram, Twitter and more.